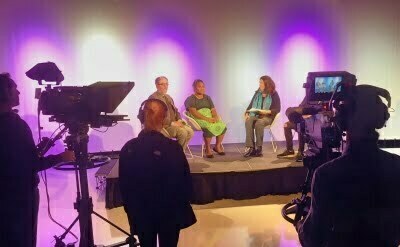 Glarinda Andre from Live & Learn Vanuatu joined with students, faculty and film-makers from the Western Sydney University School of Humanities and Communications Arts for the debut screening of two short films made by students at the university Documentary Media Day. 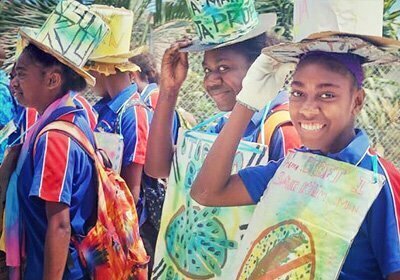 Carnival Cruises and P&O Cruises has announced a partnership with Live & Learn Environmental Education to deliver Water, Sanitation and Hygiene (WASH) in schools to improving both health and education in Vanuatu. Live & Learn Vanuatu is implementing a new project with support from Conservation International Foundation to protect biodiversity in Vanuatu. 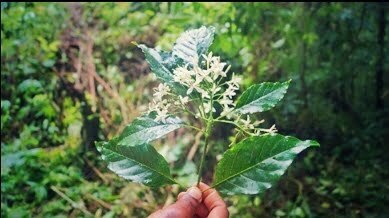 The project will strengthen local community governance capacity to manage threatened species within the key biodiversity areas of Santo Mountains, Gaua and Malekula in Vanuatu. 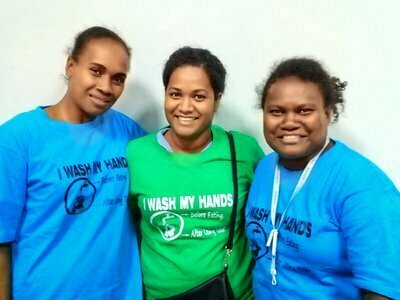 Live & Learn PNG in Kavieng, New Ireland Province, have extended the reach of Sanitation Marketing to more communities, with activities commencing in Fatmilak Village in Tikana Local Level Government area. 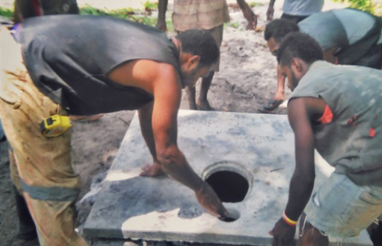 Using the sanitation marketing model established through the Australian government Civil Society Organisation, Live & Learn PNG have helped set up the management of a Community-Based Sanitation Enterprise in Fatmilak Village and trained community youth on toilet construction and environmental protection. Influencing health behaviour change seems like it should be simple. But each of us is a mixture of conscious and unconscious motivations, cultural preferences and habits. Logical reasons for choosing healthy habits don’t always effectively reach our unconscious desires or habits. Every month more than 300 million girls aged between 10-14 may dread the arrival of their period. A lack of adequate guidance, toilet facilities and sanitary materials for girls to manage their menstruation in schools causes girls to experience shame, fear, confusion. Live & Learn has published two guidebooks for student-led advocacy campaigns that focus on ensuring that everyone in their school has access to safe drinking water, safe toilets and is practicing good hygiene behaviour.